Charitable organization "Fund family Kolhofer"
for the sake of peace! 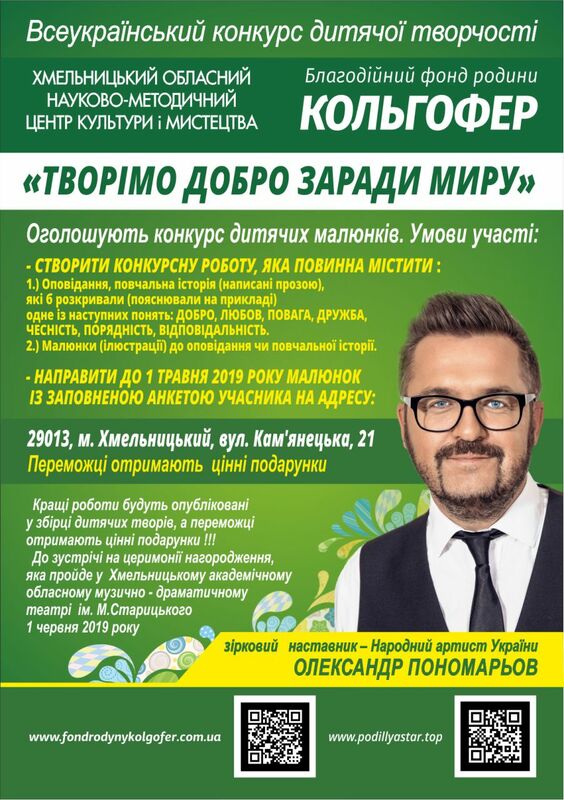 In 2019 the Khmelnytsky Regional Scientific-Methodical Center of Culture and Arts and the Charitable Foundation of Kolgofer’s Family will host the All-Ukrainian Children's Creativity Contest "Let's Create Good for the Sake of Peace". 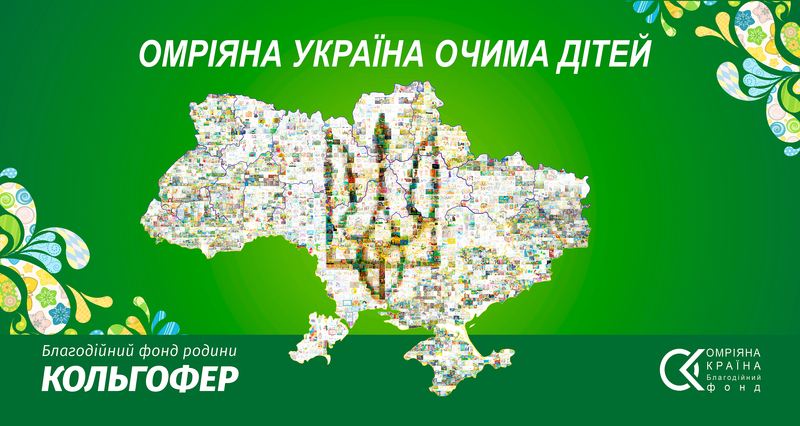 This competition is organized with the support of the Department of Culture, Nationalities, Religions and Tourism of the Khmelnytsky Regional Administration. 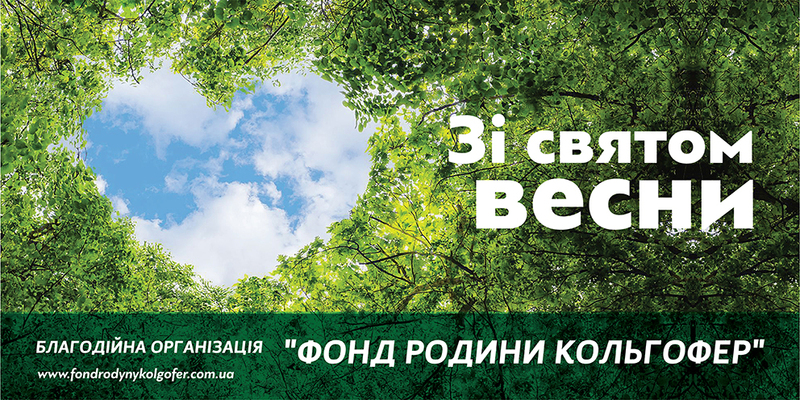 All-Ukrainian competition of children's drawings "Create good for peace"
Ukrainian competition of children's pictures "UKRAINE THROUGH THE EYES OF CHILDREN"
We are all from childhood ! 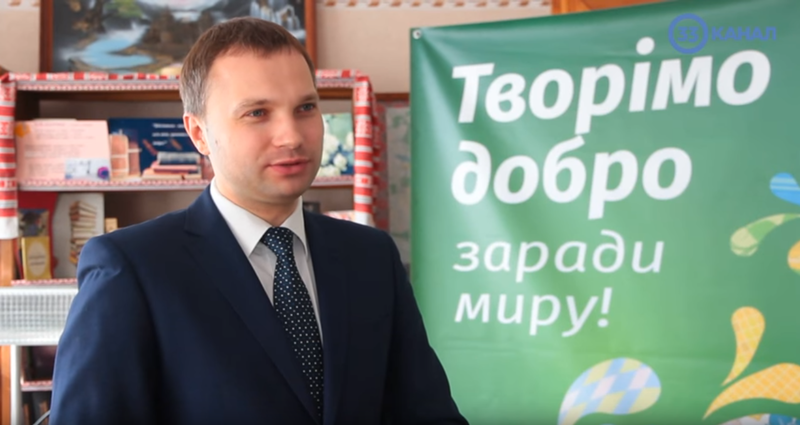 The organizers of the holiday, and this "Kolmogaler family fund", the management of the cinema and management of social protection, most of all wanted to arrange a family holiday for many families. 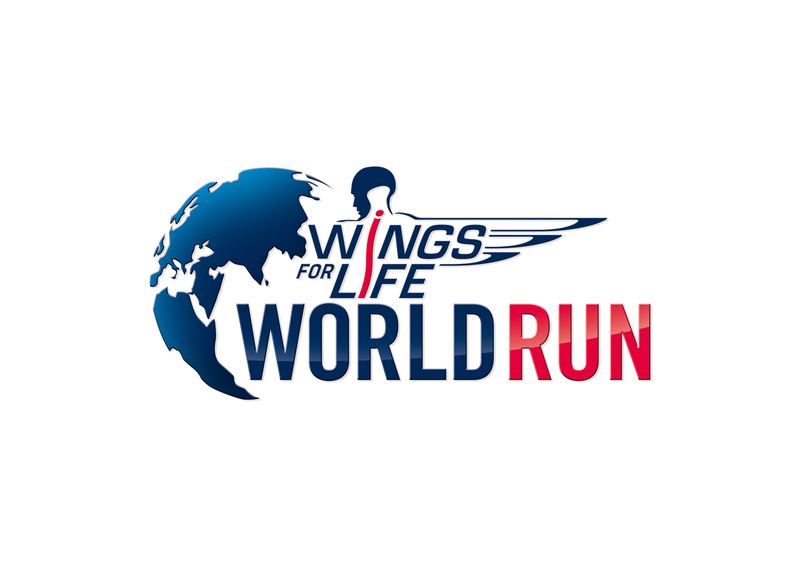 "2017 - the year of the village library"
On the 8 of May there will be a world charity race Wings for Life World Run. Dear children, our charitable organization "Kolgofer Family Fund" announces the contest for the best Easter egg made by you! The charitable organization "Kolgofer Family Fund" announces the contest "MY HAPPY FAMILY"
The Fund brought sweet gifts to children in Sokolivska boarding school for the day of St. Nicholas.